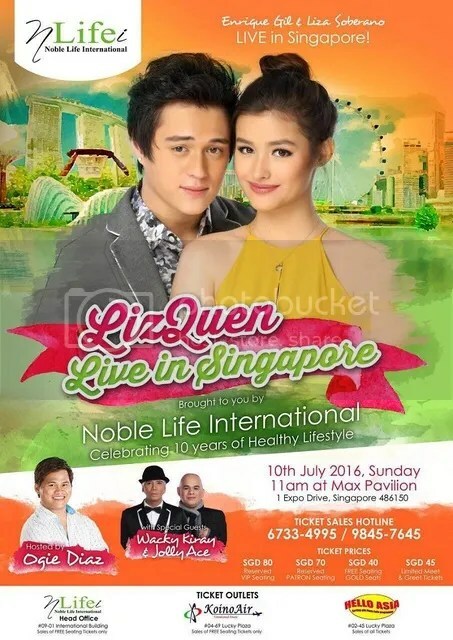 Liza Soberano and Enrique Gil are heading to Singapore! Liza Soberano and Enrique Gil are one of the most popular super couple aka Love Team in the Philippines entertainment industry. LizQuen, as what the fans called them, has starred in various movies and teleseryes such as Just The Way You Are, Everyday I Love You, Forevermore and Dolce Amore which is currently airing in the Philippines. Fans of this love birds will be thrilled to know that the duo will be in Singapore for the very first time next week in celebration of Noble Life International’s 10th year Anniversary. Noble Life International is a company which advocates the use of scientifically formulated organic healing foods for optimum health benefits and commit to bring the amazing products accessible to the people across the globe. 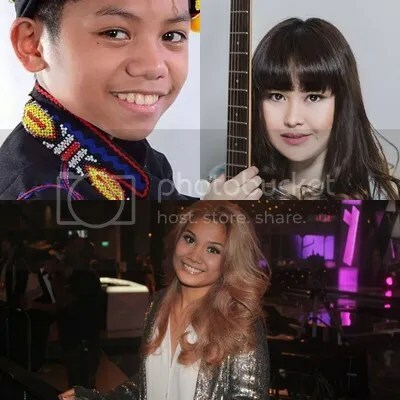 The duo will be joined by some guests artistes such as Impresario 2016 Grand Champion, Gail Belmonte, The Voice Kids season 2 finalist, Reynan Dal-Anay and singer-songwriter Iana. Comedians, Wacky Kiray and Jolly Ace are also part of the line up and they will definitely keep the crowd entertained throughout the entire show. LizQuen fans can expect a good show and something different from their other concerts. Get your tickets now at Hello Asia’s Office at Lucky Plaza or you can contact them at 67334995/98457645. Ps, here is a special video from LizQuen inviting YOU to their first ever concert in Singapore! #LizQuenLiveInSingapore, use this hashtag to share with us your excitement leading up to this event! Where is our Meet & Greets pictures? Where can we have it? you can try checking Hello Asia Facebook Page!